People like Apple. I tell you more: people trust Apple, despite issues like the batterygate or the numerous bugs of iOS 11 , because a small spot can not mess up a long path of success and reliability . After all, they represent a business model that although it seems more elitist, has proven to be much more sensitive and responsible with the privacy and security of its users , something that Facebook can not say. And that's good news for Tim Cook and his family, who have been searching for time to get away from Facebook, the company that few people trust on the planet . Reasons are not lacking, of course. A recent survey from SurveyMonkey and Recode in which people are asked which of the following companies you trust less in the field of data management : Amazon, Apple, Facebook, Google, Lyft, Microsoft, Netflix, Snap, Tesla, Twitter and Uber. Which company gives you more confidence in the management of your personal data? You do not have to say anything: just look at the graph. Facebook is the big loser , with 56% of respondents saying that Mark Zuckerberg's company is less secure for your confidentiality than leaving your wallet in a park bank. Just behind Facebook but at a great distance is Google. It is not that the Mountain View have a business model very different from that of Facebook, it is simply that people do not remember it but yes, Google and Facebook get benefits from the sale of personal data of their users . Apple and Amazon are in the lower area of ​​the table, with 2% of people surveyed distrusting them. 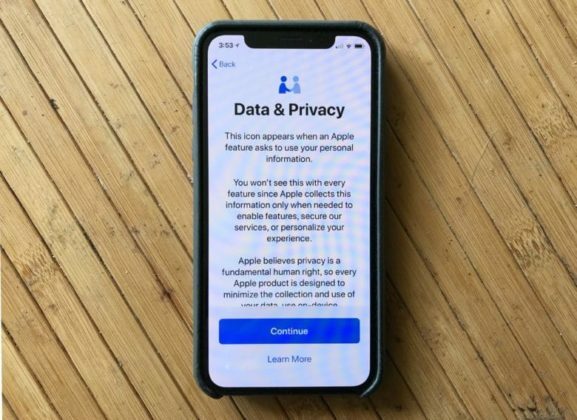 On the scandal of Facebook and Cambridge Analytica, Tim Cook recently stated that Apple believes that privacy is a fundamental human right , so its products have been designed to minimize the collection of de facto data . In addition, to ensure greater control and transparency over the personal data of its users, an option has been implemented with iOS 11.3 that informs users about each installed app. Also, Apple insists that never sell your data , but could make a lot of money with it. But unlike Facebook, in Apple the product is not you. Mark Zuckerberg this halo of perfection does not like anything and has already shot with a bullet assuring that he has "heard" apps with rare permissions in iOS . Of course, the relationship between Apple and Facebook is not going through its best .